Washington Post & New York Times: Vote No On Kav - Joe.My.God. 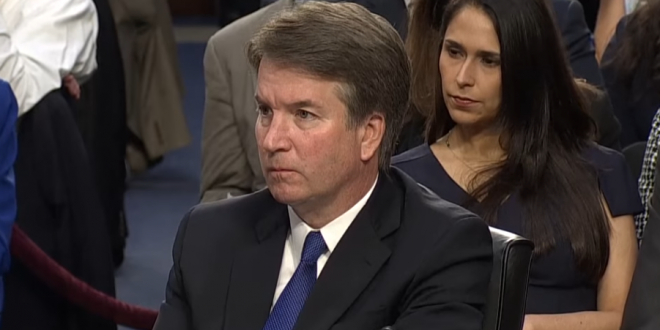 Unfortunately — and unnecessarily; it didn’t have to be this way — too many questions remain about his history for senators to responsibly vote “yes.” At the same time, enough has been learned about his partisan instincts that we believe senators must vote “no.” We do not say so lightly. We have not opposed a Supreme Court nominee, liberal or conservative, since Robert H. Bork in 1987. The court’s party-line vote in Bush v. Gore, which effectively decided the 2000 presidential election, led many Americans to wonder if the justices were nothing but politicians in robes. Sixteen years later, Republicans made the balance of the court more clearly a political prize by blocking Judge Garland. This confirmation battle has been awful for everyone. It has exposed to the country a depth of partisan grievance and connivance within the Senate that should embarrass and worry every American. It is a terrible reality that, at this point, either confirmation or rejection of Judge Kavanaugh’s nomination by a narrow and overwhelmingly partisan margin will dismay and anger millions of Americans. But only by voting no, by asking Mr. Trump to send someone else for it to consider, can the Senate pass its test of institutional character and meet its obligation to safeguard the credibility of the Supreme Court.